2014 Govecs GO T 1.4. Picture credits - Govecs. Submit more pictures. 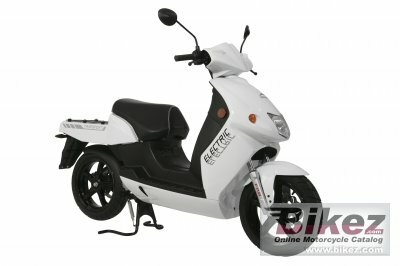 Electric scooters are especially suited to the commercial sector due to their low maintenance costs. With the GO! Tseries, companies can choose between scooters of all battery and capacity types, depending on their intended application. Comments: Lithium-Polymer 72V 24 Ah battery. Charging time 2-3 hours. Approx. 1 hours to 80% charging. Range 30-50 km. Ask questions Join the 14 Govecs GO T 1.4 discussion group or the general Govecs discussion group.